Two U.S. service members, one Department of Defense civilian and one contractor were killed by an explosion while conducting a local engagement in the northern Syrian town of Manbij on Wednesday. Three other U.S. service members were injured in the blast, according to U.S. officials. Operation Inherent Resolve, the U.S.-led mission to defeat the Islamic State, did not provide further information regarding the cause of the explosion. ISIS claimed responsibility for the attack through the group’s propaganda arm. The terror group said one of its members conducted the attack in Manbij using a suicide vest filled with explosive material. 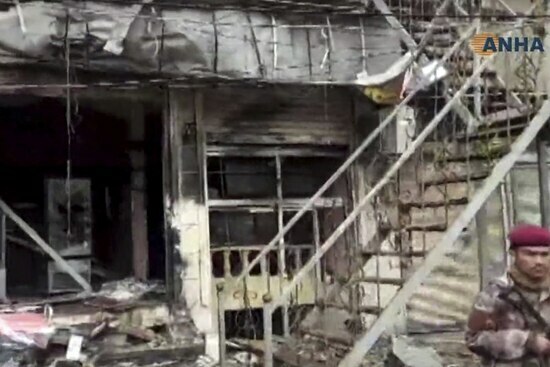 Video of the attack was reportedly recorded by CCTV footage, showing a busy street with civilians passing a store front just before a blast erupts from a building. Another set of videos recorded by local news agencies and civilians showed what looks to be a Sikorsky S-92 helicopter conducting a medical evacuation of U.S. troops from the area. That helicopter is not in the U.S. military’s inventory, however the platform could be contracted through the Pentagon or some other government agency. The Britain-based Syrian Observatory for Human Rights, a Syrian war monitoring group, said nine civilians were killed and others were wounded in the blast. The attack comes just days after the U.S. military began the process of withdrawing some of its equipment from northern Syria. President Donald Trump had previously announced his intention to rapidly withdraw the estimated 2,000 U.S. troops in Syria just before the Christmas holiday. That announcement came amid tensions with Turkey over the presence of U.S.-backed Kurdish fighters in the town of Manbij. Turkey has repeatedly threatened to invade the Manbij region to expel what its leaders call Kurdish terrorists. Trump has also said that ISIS is “defeated,” though many analysts note that while the terror group has almost no territory remaining in the country, it retains significant fighting capability. Experts have long warned that when ISIS loses its territory, it will revert back to an insurgency movement. U.S. Air Forces Central Command’s strike report during the second half of December showed 469 air and artillery strikes were conducted in Syria against ISIS tactical units, fighting positions, heavy weapons systems, improvised explosive device facilities, armored vehicles, an unmanned aircraft system and even a barge and a boat. Manbij has been a centerpiece in the Syrian conflict due to tensions with Turkey, but the town has been relatively calm since its liberation from ISIS in the summer of 2016. One American and one British special operator were killed by an improvised explosive device in the vicinity of Manbij while conducting a mission against ISIS in late March. Over the time U.S. troops have patrolled there with Kurdish allies, they have been sporadically shot at by suspected Turkish-backed proxy fighters. Those groups have never attacked Americans using suicide tactics or for sustained periods. 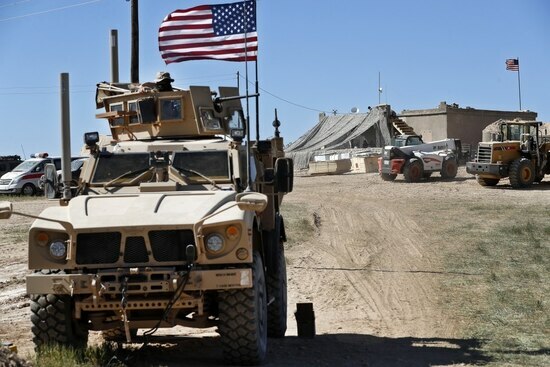 “Troops were on a patrol with Manbij Civil Council and received gunfire from an unknown source," Army Col. Sean Ryan, spokesman for the U.S. mission, told Military Times at the time of the incident. “It was over quickly and a reminder to stay vigilant." "Manbij has been relatively safe but it is still Syria, and a lot of malign actors are looking to cause trouble,” he added. In accordance with U.S. Department of Defense policy, the names of the service members are being withheld until 24 hours after notification of next of kin is complete.